This idea is embodied in the colour combinations of the new home and away kits that are also striving for perfection on the field. Every season, Real Madrid have to face up to their biggest rivals: themselves. After all, there is no greater struggle than to surpass yourself. For the new season, the essential white is combined with silver grey in the three stripes of the shirt. White symbolizes that each new season is a blank canvas on which to capture success. Past triumphs are history, what matters is in the future: winning new victories and being better in every game. 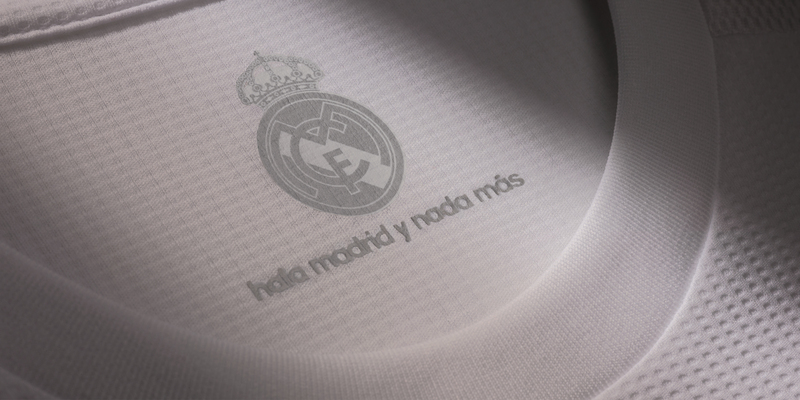 Inside the neck, we find the club crest with the inscription “hala madrid y nada más” (“Come on Madrid and nothing else”, from the club anthem) in the same silver grey of the stripes. In terms of design, a round neck and folded sleeve effect with a different material add an extra touch of class to the shirt. 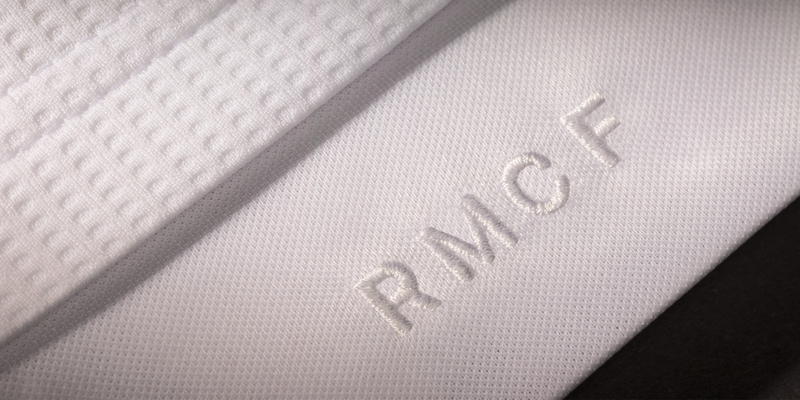 The crest stands with impact on the white and grey, and displays the traditional colours of the club in a high-density, heat-sealed execution with different textures. The white and grey shorts and socks complete a strip that combines tradition and modern design. This white and grey kit strives for excellence in design in the same way that Real Madrid seeks perfection, not just in every game but everywhere. The goalkeeper’s kit is black with grey stripes. The neck is different and fresh, and there is a grey edge at the bottom of the shirt that creates a contrast with the black. If there is a colour that represents elegance like no other it is the grey of the away kit. Grey is a colour associated with urban aesthetics, and in this case the metallic tone is a homage to all the trophies that Real Madrid has won throughout its history and all the trophies it still has to win. 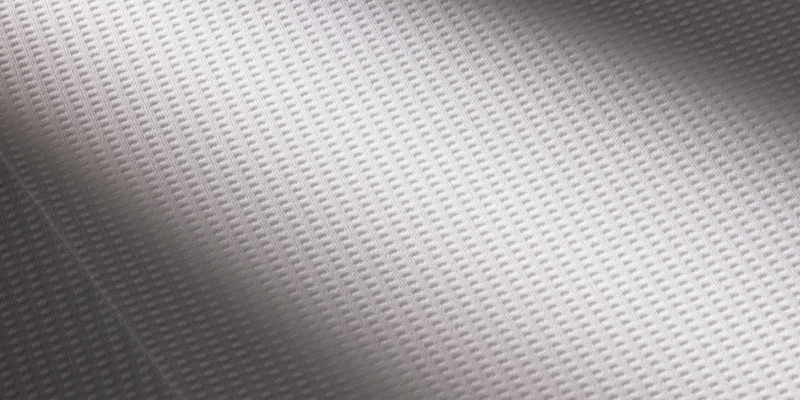 This colour is called Silver Glory and represents all of the trophies that Real Madrid has conquered, woven into a unique and unequalled shirt. The main story around this kit is the fabric: although it is high performance material, it feels like cotton, which gives it a more urban and casual look without losing all the functionality and comfort required by the players. 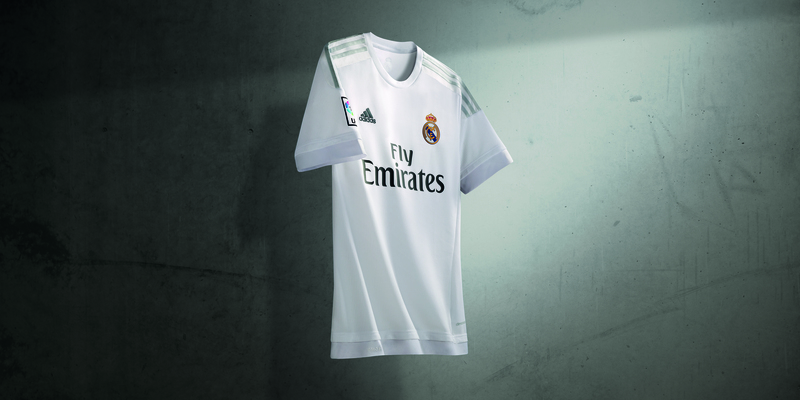 As with the home jersey, it has a round neck and, inside, the club crest and the inscription “hala madrid y nada más”. 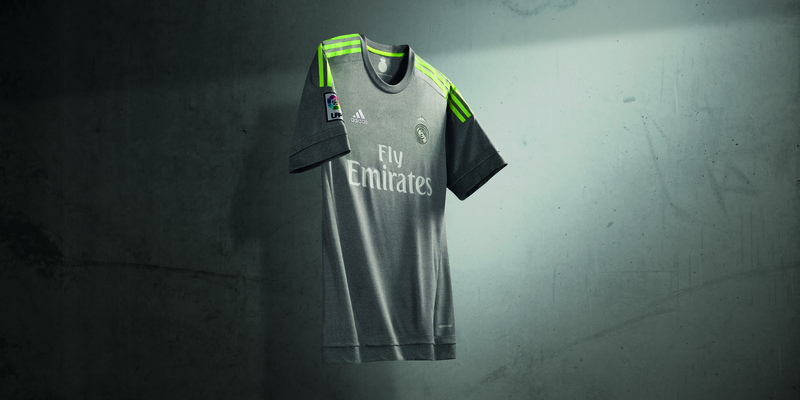 For the away jersey, the colours of the club crest are executed in grey and white. For a touch of colour, the kit incorporates fluorescent yellow stripes that give it a modern and youthful look. The same fluorescent details feature on the shorts and socks, creating a strip that is both powerful and elegant at the same time. “When you’re the best club in the world, what makes you grow is not the other teams but the struggle to improve your own outstanding legacy. The pursuit of perfection is the goal. Perfection in the game, in the attitude, in the players. And that requires relentless attention to every detail, on and off the field. 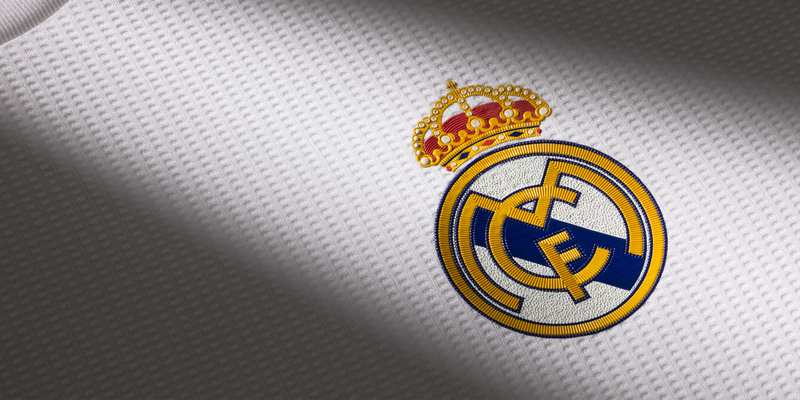 Real Madrid is an example to the world; everything we do is scrutinised very closely. That’s why it’s so important to win, but not just anyhow. No, our victory must be unanswerable – in every way. Our victories have to beat previous victories – with more spectacular goals, more surprising moves, and more trophies on the wall. Because when you’ve been the winner so many times, you know that your next victory must be to achieve perfection. 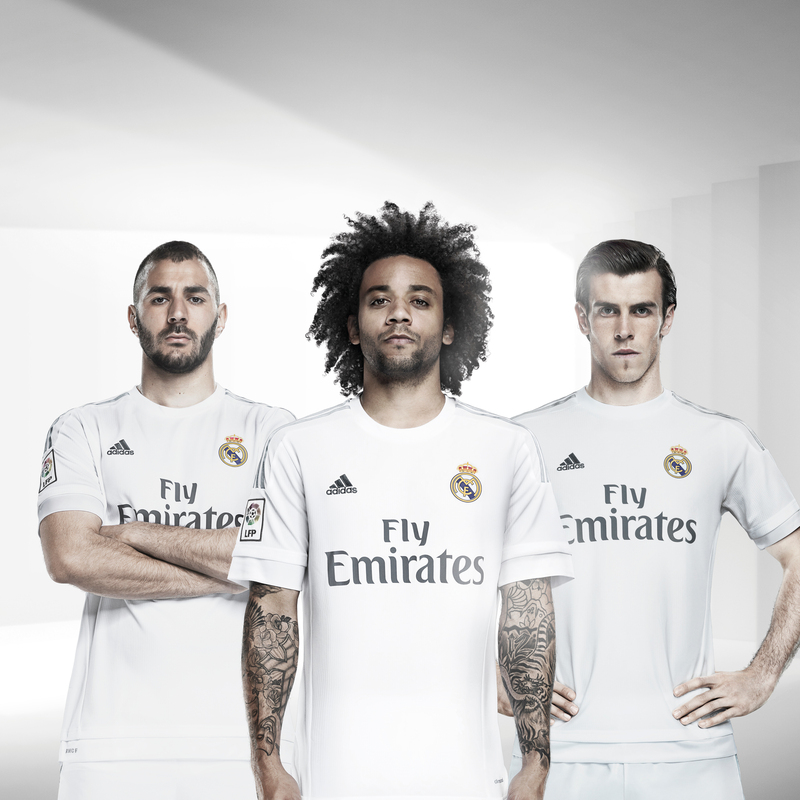 What do you think of the new adidas Real Madrid kits? Let us know in the comments section below or on our Twitter and Facebook pages.